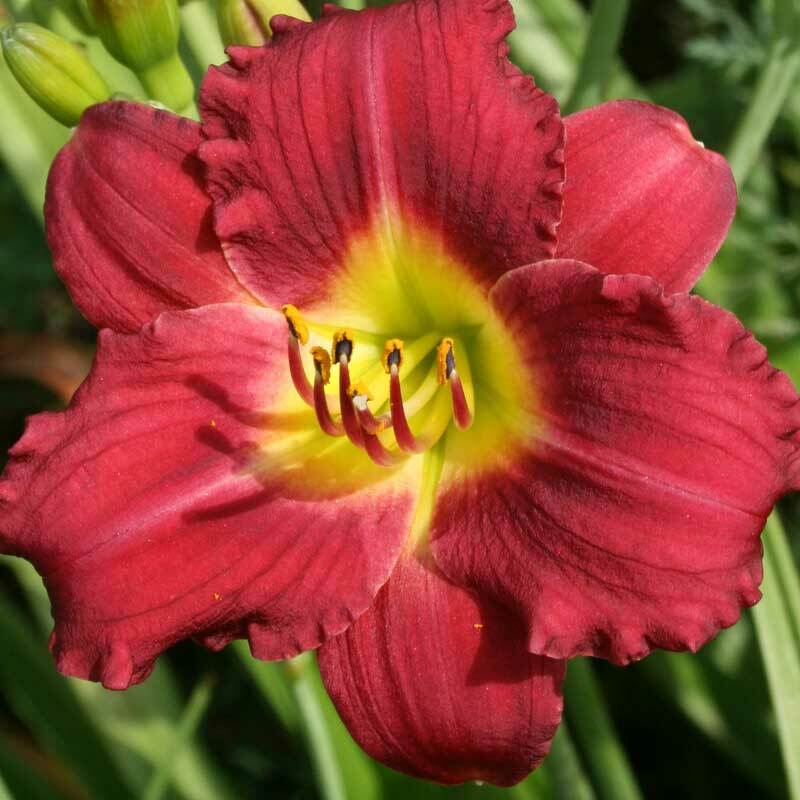 One of the best reblooming reds. 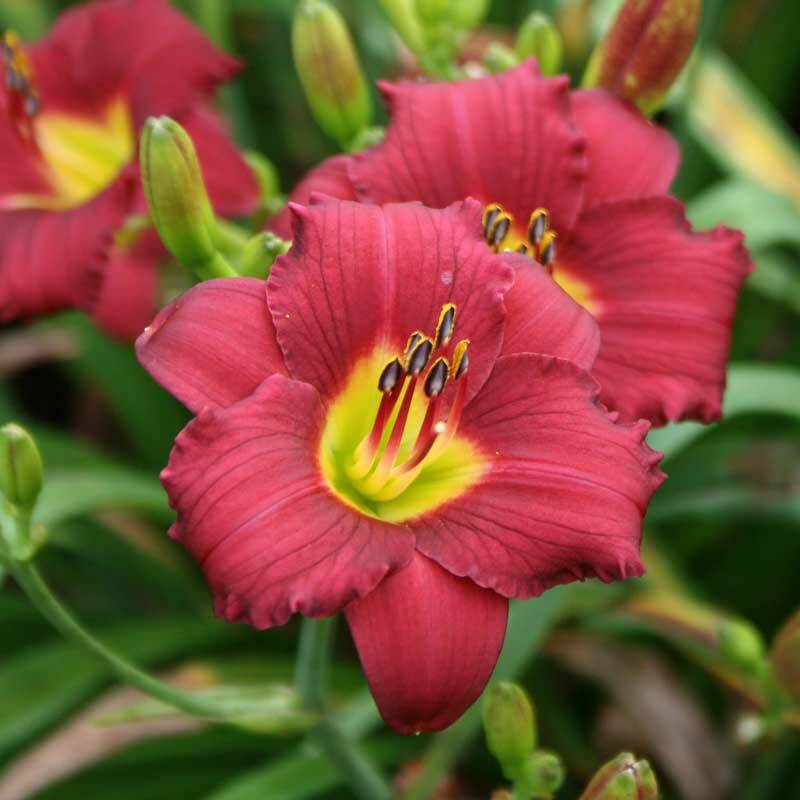 It starts its display of deep burgundy red blooms late in the season and continues until frost. Fragrant. 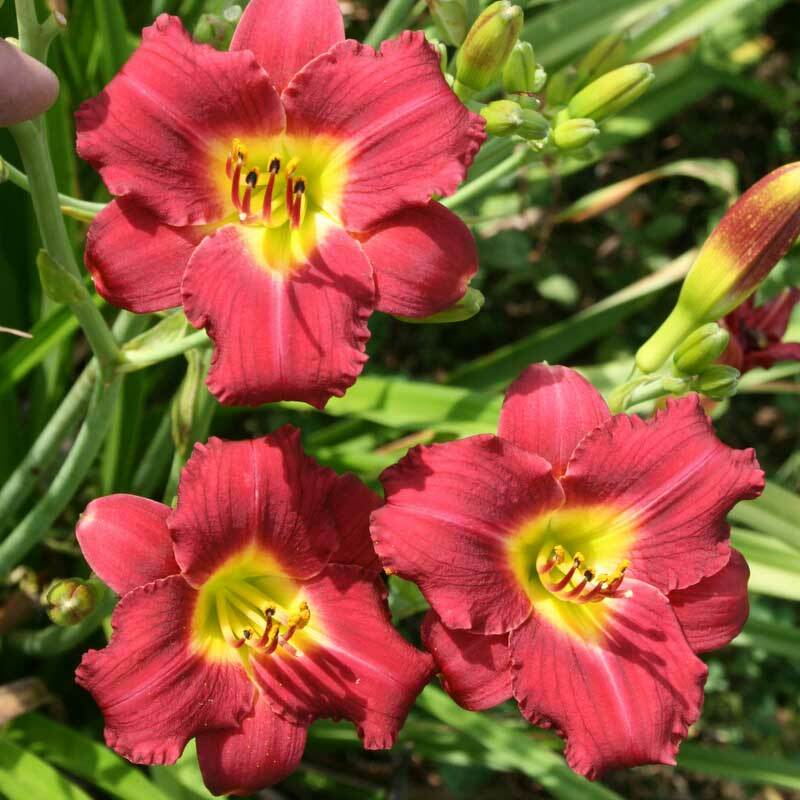 When we opened the box of daylilies we ordered, we were pulling out clumps of daylilies not just single or double fans. The Bonus plant was a clump too. 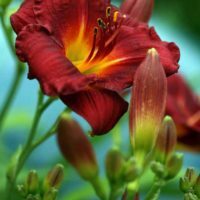 This is why we buy our daylily plants from you. You’re the best! Thanks! I have really come to appreciate this little cutie. 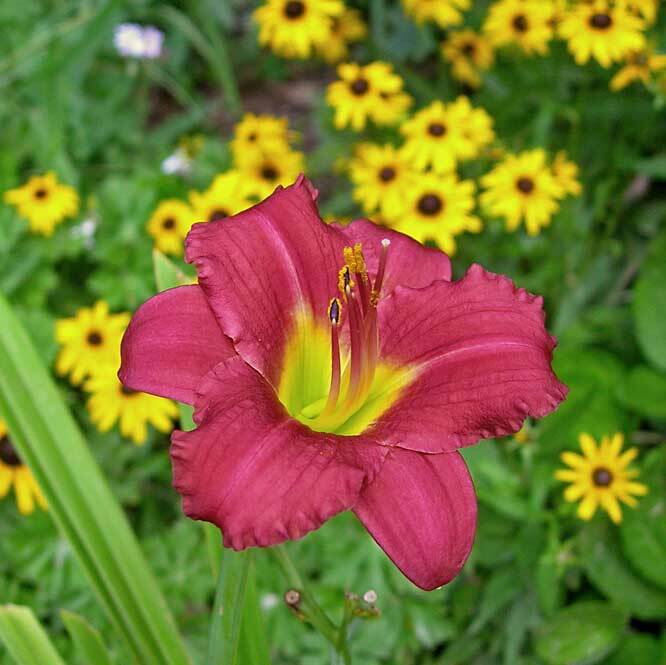 I have had reliable dark red blooms for most of the summer, and it is still blooming in mid-August. I bought several of them originally in 2009. Last year, I divided the clumps. Both the original plants and the new divisions continue to bloom and bloom. P.S. 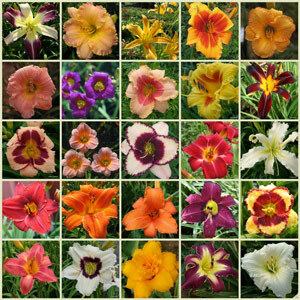 In case you are wondering, daylilies are incredibly easy to divide, even for me, who had never done it before. Give it a try! I ordered this late in the season, so it didn’t get planted until June 25. Less than a month later (July 14), it is already blooming!!! I can’t believe it. So pretty. I can’t wait to see it next year, if it is performing like this now. I have it in full sun and water it daily, of course. I’m in zone 7. This was a bonus plant and thank you very much!!!! Such a sparkling red what a delight! Enjoying highlight of this plant in the day lily bed. We are in S. Coast of Massachusetts, very hot and humid on many days. 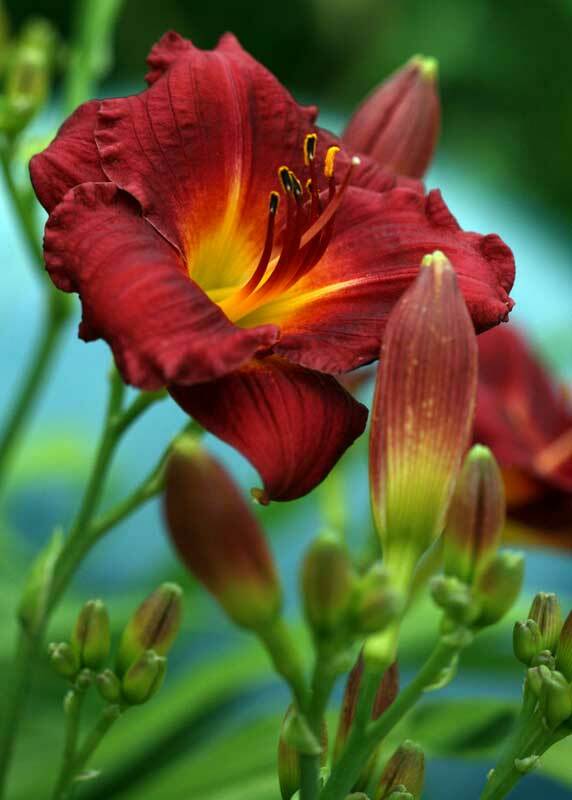 This plant is really glorious, beautiful pure red color and very big blooms. Look forward to seeing it all season. The deep burgandy color of Pardon Me is stunning. A real eyecatcher for sure. I get great armfuls of blossoms daily that last all day and really keep their color. They bloom from early in the season until late in the summer, nearly until the first frost. The rebloom on this one is even better than the first bloom. I have never noticed a fragrance but maybe I missed it. Love the abundance of blooms, but wish it were a truer red. This clump divides well and adapts quickly. Cute little plant with cute little flowers, but I’m not really crazy about the color. Maybe the Pardon Me wine-colored red would look better if it weren’t so close to the vibrant Rooten Tooten Red. Next time I divide the beds, I’ll move those two farther apart, and maybe I’ll like Pardon Me better then. I had this beautiful baby when I lived in Atlanta. So magnificent were the blooms! Now that I live closer to FL I will purchase more to give my garden the touch of color and hardiness that it needs! I have had Pardon Me for 2 years. This year it bloomed and bloomed and bloomed. And then, at the END of September it sent up another scape and so I will have blooms in OCTOBER in central Ohio. What a nice surprise! Great bloomer first year. Still blooming in August. Very prolific. Great for an accent. Doesn’t get too tall so good for the smaller garden. Another one that can be divided over and over. 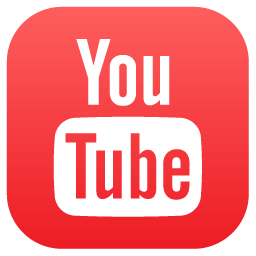 True red color. 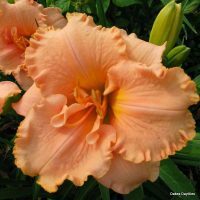 My Pardon Me started out as one fan division four years ago and bloomed from first year. I divided this fall (09/2008) and kept a huge division for myself and was able to give two daughters 5-6 fan divisions for their gardens. Blooms almost non-stop for me until frost but my garden is a late starter anyway here in Zone 5A. 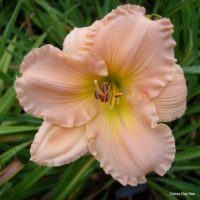 This was my first daylily and is what got me hooked. I have 38 named plants now and wish I had room for more! I have Pardon Me planted in a serpentine border accompanied by Pandora’s Box. What a combination! They begin blooming within days of each other; and the show literally stops people in their tracks when they step through my garden gate to the back yard.Since they are not very tall, they are not overwhelming and look wonderful in the front of that border. 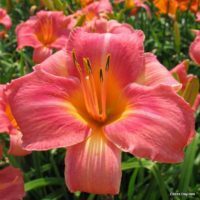 Pardon Me,could you come over and see what i can do.This daylily always does well here in Kentucky having over 100 blooms a year.And can always cheer you up! I also planted Pardon Me with Stella De Oro and the colors look great together. 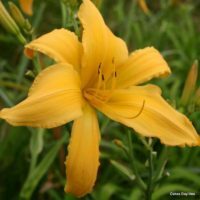 I get a lot of compliments on my daylily bed! I just wish it bloomed as often as Stella so I could see the great combo more often. Small bursts of red color to brighten the garden. The size and color go nice with Stella d’Oro. I love this daylillie, this is the first year I’ve had it and it hasn’t stopped blooming for a month and a half. The color is not a true red but even prettier and a lovely bright throat. A real stand out in the garden, I highly recommend this hardy beauty to all.Color holds up very well in the sun.